作品简介: We live in a knowledge based society, and the more critical you think the better your knowledge will be. Critical Thinking provides you with the skills to analyze and evaluate information so that you are able to obtain the greatest amount of knowledge from it. It provides the best chance of making the correct decision, and minimizes damages if a mistake does occur. 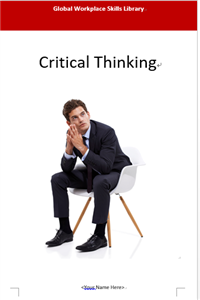 Critical Thinking will lead to being a more rational and disciplined thinker. It will reduce your prejudice and bias which will provide you a better understanding of your environment. This book will provide you the skills to evaluate, identify, and distinguish between relevant and irrelevant information. It will lead you to be more productive in your career, and provide a great skill in your everyday life.